Stay up to date on Alaska Landlord Tenant Laws + Save money on tenant screening and other property management needs. Join AAOA today, it’s FREE! The security deposit required by a landlord cannot exceed two times that of the monthly rent. The only exception is rents over $2,000 a month. When the tenancy ends, the deposit may be applied to the owed rent and any damages that occurred during occupancy. The damages must be listed in writing and sent to the tenant in order to explain why the deposit or a portion of the deposit is not being returned to the tenant. Refund and written notice will be returned to the tenant within 14 days of tenancy if notice is given. If damages have occurred, the landlord has 30 days from the end of tenancy to issue any refund and send written notice. If the tenant does not give notice, the landlord has 30 days after the tenancy ends, when the tenant delivers possession, or when the landlord realizes the property is abandoned and vacant to issue a written notice and any refund due. All monies received as deposit or prepaid rent must be deposited in a trust account in a financial institution or with a licensed escrow agent. Landlords may not use the funds to refund the deposit of a different tenant, use the funds to apply to a payment owed by another tenant, or use the funds to pay for damages caused by a different tenant. Pet deposits can be collected by landlords. The funds must be accounted for separate from the security deposit. Funds not refunded must only apply to damages that are pet-related. The name of the owner or person authorized to act on the owner’s behalf for purposes of sending and receiving notices and demands. The information must be kept current at all times and applies to any successor of the landlord, owner, or property manager. The landlord is required to maintain fit premises for the tenant. Upon the tenant’s request, landlords must provide and subsequently maintain keys and locks to tenants to ensure their safety. May not change the locks without the landlords written consent unless an emergency has occurred with no contact from the landlord. Copies of the new keys must be provided to the landlord. In an emergency, the tenant has five days to change the locks and provide the landlord with a written notice as well as copies of the keys. Landlords may access the property with no notice in the event of an emergency. Landlords must give 24 hour notice and request a reasonable time to access the property in a non-emergency. Landlords may access the property to inspect the property, repair the property, update the property, and remove items that belong to the landlord. If a tenant substantially damages the property or is found to be engaging in illegal activities within the property, a landlord may deliver notice to the tenant to end the agreement in 24 hours and up to five days after the delivery of the notice. If the tenant breaches the rental agreement outside of damage and illegal activities, the landlord can deliver written notice that the tenant has 10 days to make corrections or terminate the rental agreement and exit the premises. – If service is cut off to property due to nonpayment by the tenant, the landlord can give written notice to have utilities reconnected within five days of the written notice or quit the agreement. If the tenant reconnects service within three days of the notice, repays the landlord for any costs incurred for the disruption to services, and no substantial damage occurred, the rental agreement will not be terminated. Alaska Tenant Screening Background Checks are also an important piece of landlord tenant procedures. Visit Alaska Tenant Screening Background Checks to screen your tenant. All states require a variety of forms to rent an apartment to a tenant and Alaska is no exception. Check out American Apartment Owners Association’s Alaska Landlord Forms now. 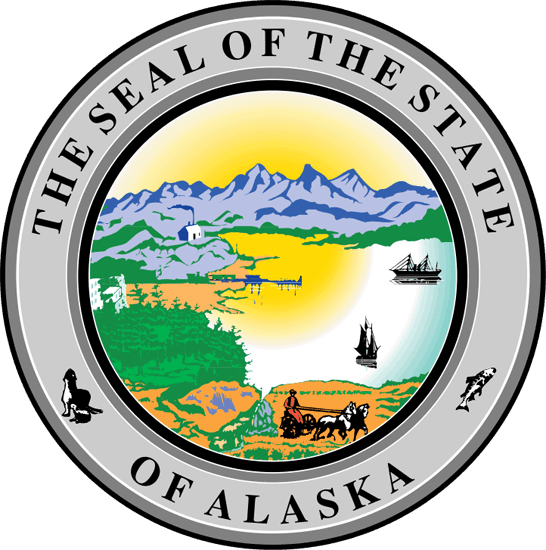 Looking for landlord tenant laws outside of Alaska? The American Apartment Owners Association offers helpful landlord tenant laws for all 50 states. Click on any of the states listed below and go directly to its landlord tenant law page. To visit the homepage of landlord tenant laws, click here. The rights and responsibilities for landlords in Alaska are long and comprehensive. Bookmark this page as a reference tool as you manage your property and accept new tenants. Becoming familiar with Alaska landlord tenant laws will help keep you out of trouble and help you protect your property.